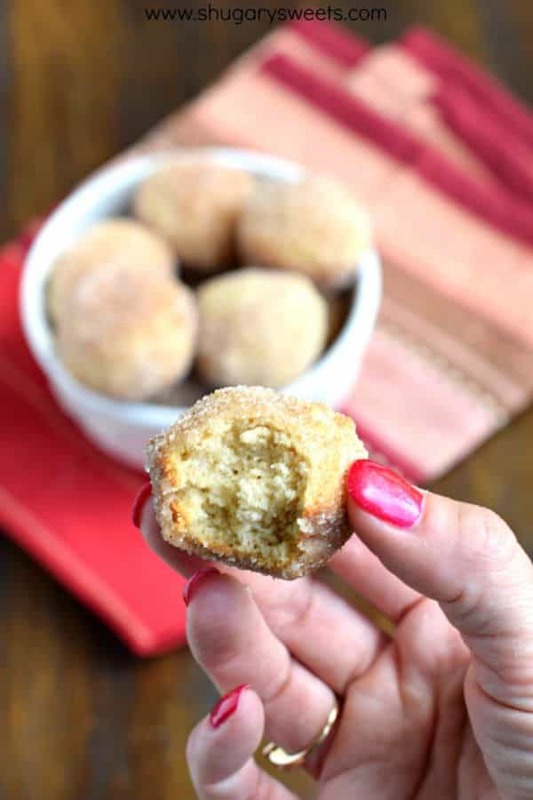 Delicious, easy Cinnamon Donut Breakfast Muffins. These are perfect, popable bites and they freeze well too! Any of you Tastefully Simple fans out there? These taste JUST like their Cinnamon melt muffins (actually I don’t remember what they are called). 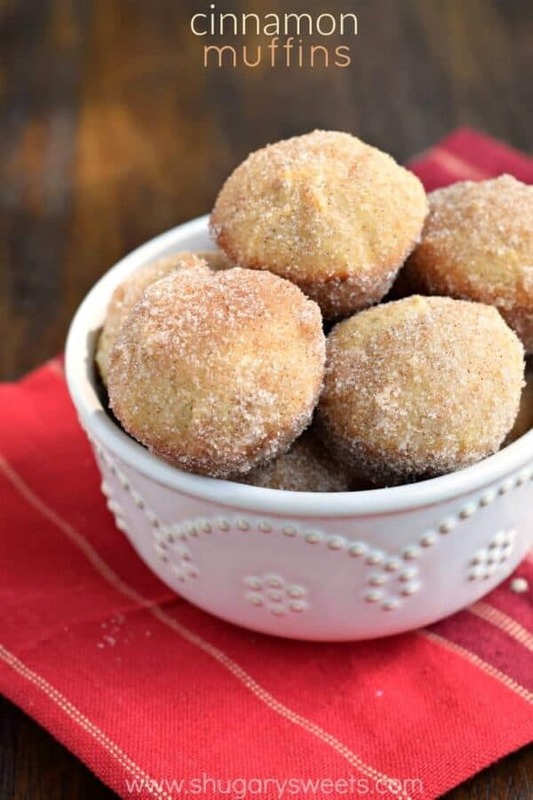 Rolled in butter and dredged through cinnamon sugar, these definitely will bring you to that sugar high quite quickly. I usually make two batches so that I can freeze them. 25 mini muffins fit quite nicely in a Ziploc gallon bag. I froze 4 bags of these, plus we had another 20 or so left to eat hot out of the oven. You can make these big (using a regular sized cupcake pan), however you would have less cinnamon/sugar to muffin ratio. And I like crunch of the sugar on my muffin. Plus, you don’t feel as bad eating 3 little ones instead of 1 big one! Trust me on this. Mix one cup sugar with shortening until well blended. Add eggs. In separate bowl, mix flour, baking powder, salt, 1/2 tsp cinnamon and nutmeg. Add flour mixture alternately with milk to the creamed mixture. Beat well after each addition. Lightly grease mini muffin tins. Fill muffin cups half full (I use a 1 Tbsp scoop). Bake in a 350 degree oven for 13-15 minutes. While baking, melt 2 sticks of butter. In separate bowl, mix sugar with cinnamon. Dip baked muffins in butter, coating thoroughly, then coat with cinnamon-sugar mixture. Eat, enjoy, and eat some more! I have this recipe and make these all the time. One of the first recipes I put on my blog! Make these, they are wonderful!!! Call me crazy, but I swear I can actually smell these if I sit close enough to my screen. Those look divine. These look so good. Can’t wait to try the recipe. Oh yum, these look delicious. I love anything that is drenched in butter and rolled in cinnamon sugar! Thanks for linking up to Fat Camp Friday. Hope you enjoyed your weekend, see you next time! These look so yummy. I have a mini muffin pan I don’t put to use nearly enough. I’ll have to make these. Ohh I want some of these! Thanks for sharing the recipe. I’d love for you to stop by and link up to my Share the Wealth Wednesday Link Party at http://www.laughloveandcraft.com. I’m your newest follower. My family is crazy for these muffins. They made the Top for last week’s Sweets for a Saturday. Congrats! If you don’t have Butter flavored Crisco what could you substitute? Hi, you could either use regular Crisco or substitute unsalted butter in it’s place. ENJOY! 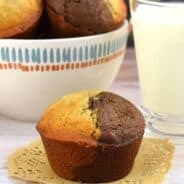 You stated you couldn’t remember what these muffins were called. 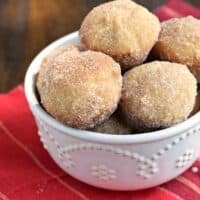 They are “French Breakfast Puffs”. My Mom got the recipe (exactly the same as yours) from her sister in law Carol when she and her husband were stationed in France. We’ve been making them for years in our house. Most espicially for holiday morning breakfasts!. They are my favorite! I have a recipe that I have made for about 25 yrs now, that is similar, but they are called mini applesauce muffins. 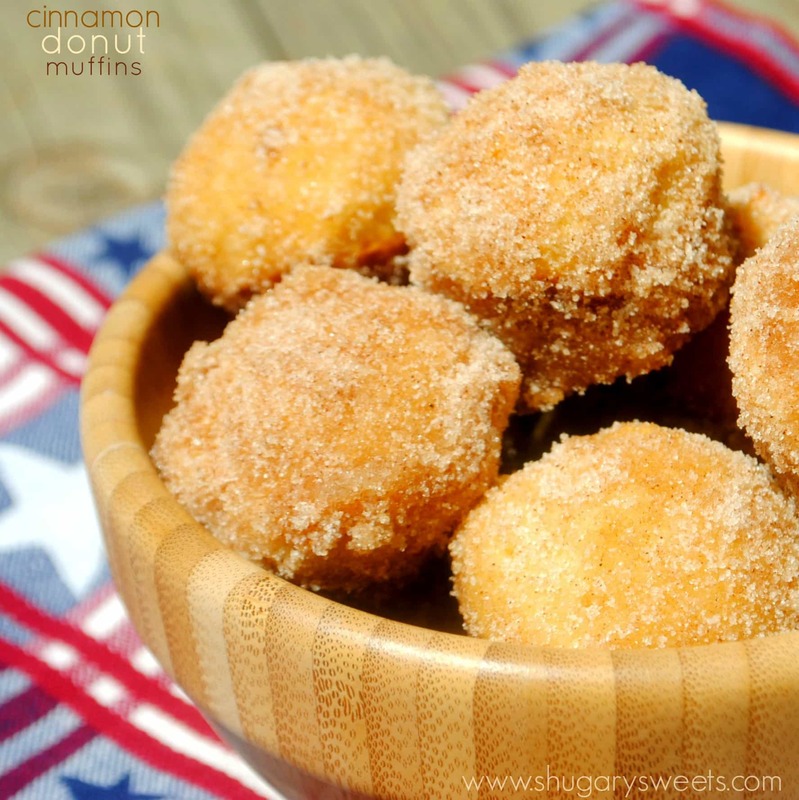 They obviously have applesauce in them, and are rolled in cinnamon sugar too. My daughter who is 35 ask me to make these for her when I ask her what would you like for your birthday dinner. I never realized how much she liked them till that day. I don’t make them often now that the kids aren’t home, but might make the recipe on this page and freeze them like suggested! And they look beautiful in that beautiful Pampered Chef Bamboo bowl! Can you prepare these the night before then pop in oven? If frozen, Do you know how long they take to thaw? Do they fold up and taste the same after being frozen! I have to have breakfast on the table at a certain time. They don’t take long to thaw at all, depends on how warm your house is! I usually pull them out in the morning and I would say within 30 minutes they are ready. If you’re worried, you could always take them out the night before. with regards to freezing: do you freeze them before or after the butter and sugar dredging process. And also, what is the best technique for re heating? I freeze mine after the butter and sugar. They don’t look as pretty after removing from freezer, but my kids still devour them. I just let them thaw on my counter top for an hour or so, no need to reheat. If you want, you can freeze them BEFORE dredging, then when ready to re-use, thaw on counter. Pop in oven or microwave to warm them up and dredge them. Up to you! I have made these little yummies at least 5 times already. I think someone should cut me off! I could seriously eat an entire batch single handedly. They’re SO GOOD. I wouldn’t know if freezing them works well since there are never enough to freeze! Thank you thank you thank you for this recipe. What if you have an egg allergy can you sub the egg for just milk? 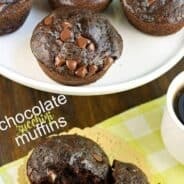 These are so great for a quick breakfast or for a delicious little treat! Easy to make as well (which is a must for me)! I like to make those in batches and freeze for my kids busy weekday breakfasts before school. Works perfect ! Yum, yum!! These would be the perfect breakfast or snack! My kids will go crazy over these! 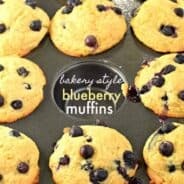 These are our favorite make at home muffins! I cant tell you how many people ask me to bring them when Im bringing in breakfast for meetingS— seriously its like every person who’s ever had them! ! Thanks! These are so cute and they look so delish! The perfect add on to a brunch spread! This needs to happen ASAP! I know my whole family is going to love them. My family would LOVE these! Perfect bite-sized breakfast!